77HB7100B47A - Weld Racing Street & Strip - RT-S S77 - Dezod Motorsports Inc - Home of the automotive performance enthusiast since 2002. 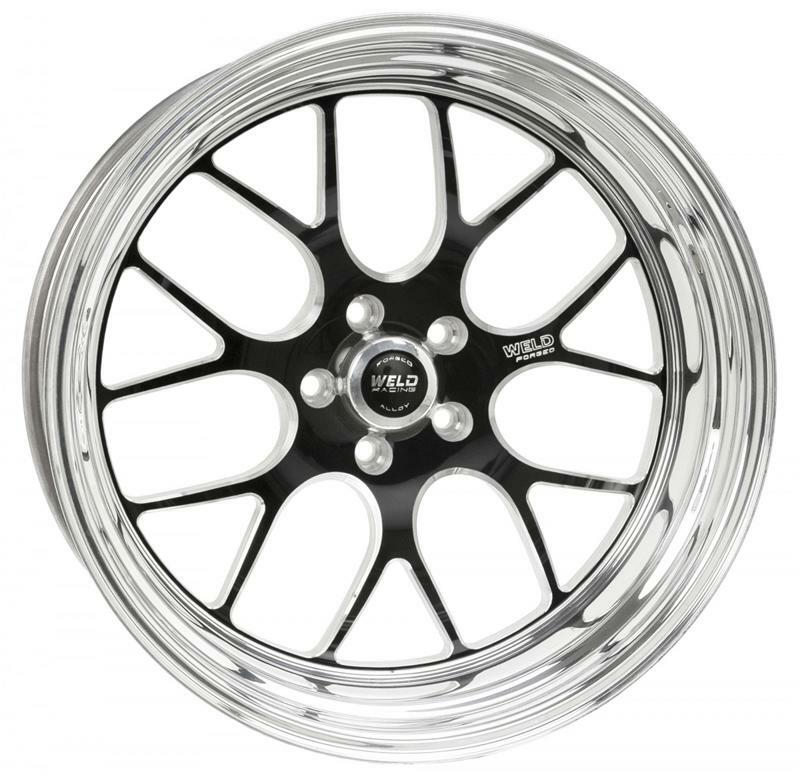 Weld Racing brings its application flexible racing technology to the street with a budget friendly 3-pc modular wheel using a unique welded assembly process. Continuing the success of the S71, utilizing a forged billet center and cold forged rim shells, Weld Racing expands the RT-S product line with 3 new styles for 2014. This unique product line offers 3 mounting pad heights to clear specific drum and multi-piston opposed calipers. Target applications for this wheel include cars from the 1950’s through today’s challenging modern applications such as the 4th generation Camaro/Firebird, C6 Z06 Corvette, 2010+ Camaro (and ZL1), and the Cobra Mustang. Weld Racing is a make-to-order manufacturer. This wheel will have a 4-6 week lead time.